Studio 2 at Columbia Athletic Club will be undergoing improvements from Monday, April 22 through Monday, May 13. Classes have been moved to Columbia Gym, Supreme Sports Club and Kahler Hall. 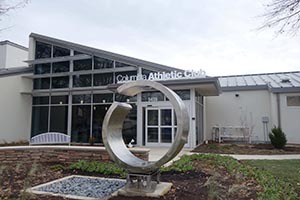 Columbia Athletic Club is a facility that is large enough to satisfy all of your interests, yet small enough to get to know you. Operating Hours: Monday–Thursday, 5am-11pm; Friday, 5am-9pm; Saturday, 6am-7pm; Sunday, 6am-9pm. Pool and KidSpace hours vary. For more information, please call Columbia Athletic Club (410-730-6744) . Not a member? Click here to get started. You can find more detailed information about CA’s membership structure here. 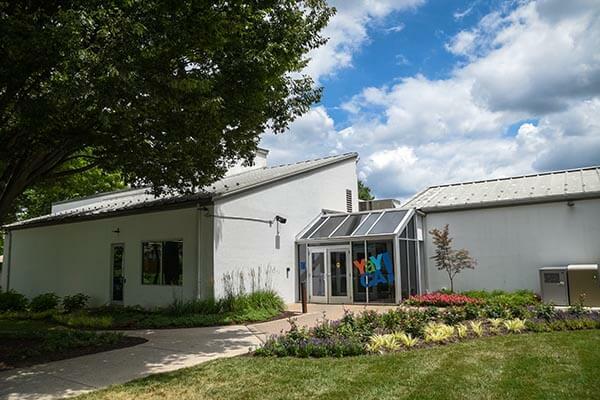 At the Athletic Club, members can enjoy 3,400 square feet of strength training space; a weight room; strength training equipment; racquetball; squash; and indoor tennis (court fee required). Members can also enjoy over 2,000 square feet of cardio workout space. This space includes equipment with personal flat screen TVs, treadmills, internet access, elliptical trainers, heavy bags/boxing and other cardio equipment. A co-ed whirlpool, saunas, a warm water therapy pool and locker rooms are also featured within the facility. The Athletic Club’s warm water therapy pool is used for several aqua therapy classes, such as Aqua Ai Chi and Aqua Arthritis. Other group fitness classes include studio cycling; yoga; tai chi; Body Pump; Body Vive; Zumba Toning; QiGong; Ai Chi; and Women, Weights and Osteoporosis classes. For an extra fee, premium services are available. These services include personal training; When if Not Now; special events and classes; children’s martial arts; and adult martial arts. For parents and grandparents, KidSpace is available for children 6 weeks to 13 years (KidSpace option required).